Unfortunately, my pine tree (or rather sapling) has died over the winter. I did some research and it seems that I did everything wrong that I could do wrong. NO direct sunlight! Use pine bark as soil. I got eight new seeds on Ebay and followed the instructions here. Well, I tried. Of the eight seeds, I could only use two, because I smashed the others trying to open their shell. Oops. I couldn’t easily get proper pine bark without ordering online and I had to go to a hardware store/ garden center anyway, so I got orchid soil, which should come close to the required stuff. 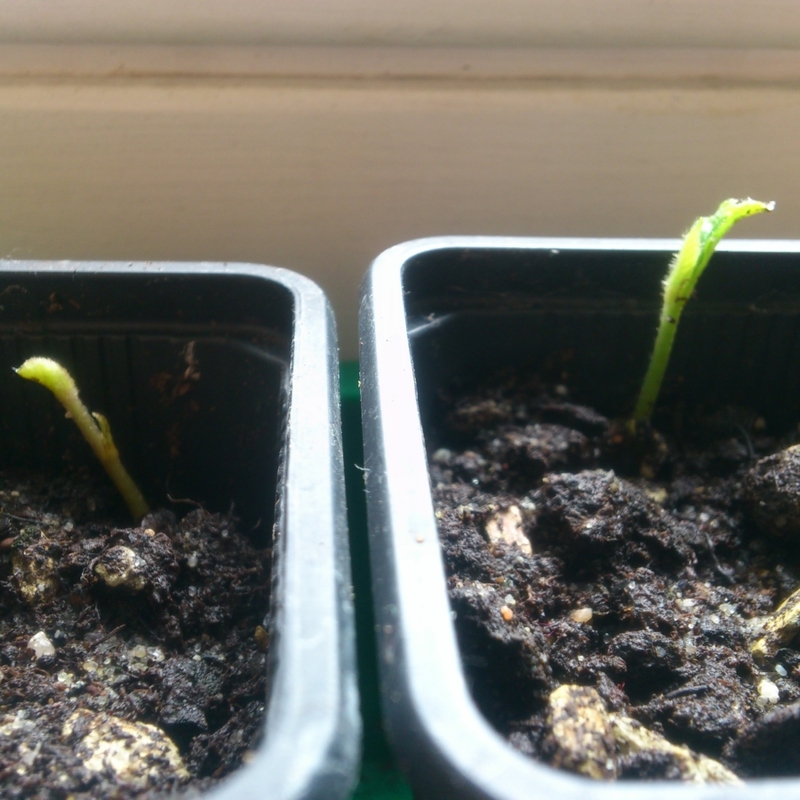 Fingers crossed for the two new pine saplings! Today I discovered that the last loquat seed has germinated. That means that 100% of the 20 seeds actually germinated in a period between 30 and 56 days. Not too bad. I had dumped the three I had germinated in vermiculture, but I still have 20 seedlings. How’s that, you might wonder. It’s because loquat seem to be polyembryonic, just like lemons. You might be able to see that with the one on the bottom right corner. Three seedlings grow from one seed there. 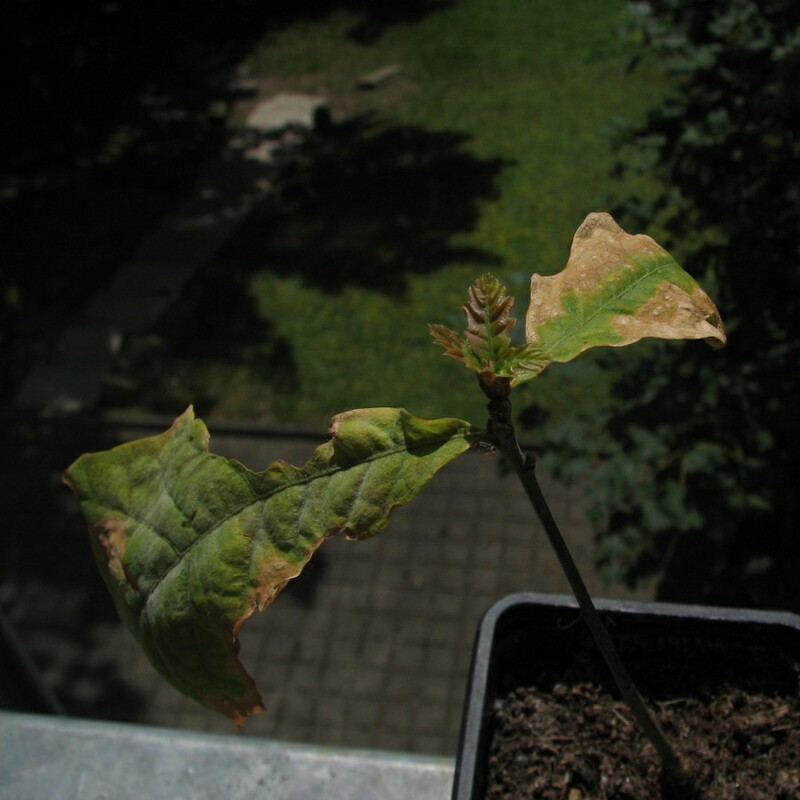 Some days ago, new buds had developed in my English Oak and Almond Tree seedling. 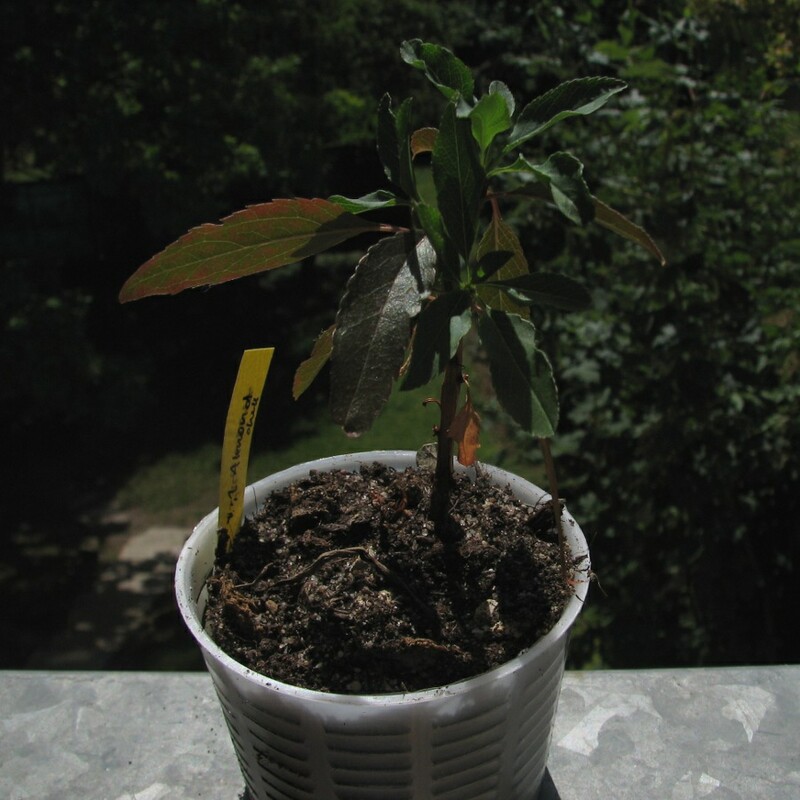 I was especially glad about the Almond seedling, because the leaves had turned quite red due to the amount and heat of the sun on my balcony. 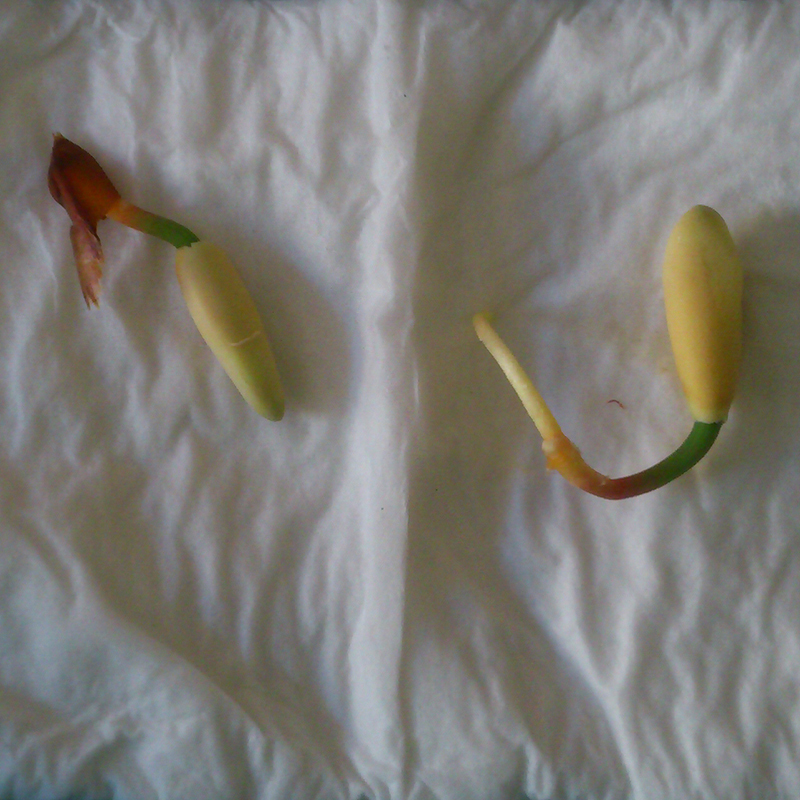 Of both species, I only have one, so new leaves means they are still going to live. I’ve started with new almond seedlings, though. They are still in the soaking phase. 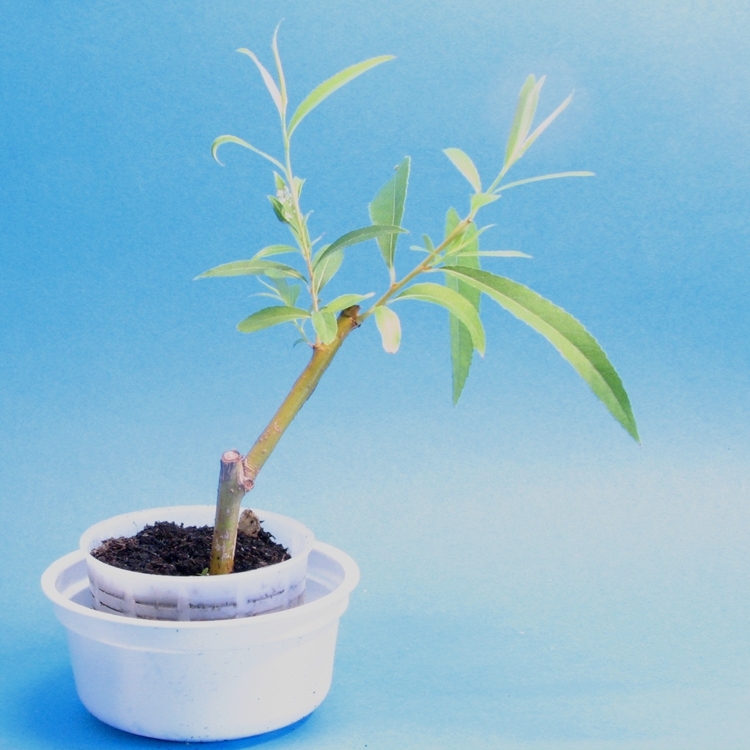 Fingers crossed for more little almond trees. Finally, I could convince myself to get some pistachio seeds on Ebay. One might ask – why don’t you just buy them at the supermarket? – Easy: because those are always roasted and half of them even salted, so they won’t germinate. They were offered as “Persian Pistachios”, which basically means that they’re from Iran. Iran is the largest exporter of pistachios, as far as I know. So, those are not actually Mediterranean, but pistachios are grown in Sicily, and that’s my excuse. As you can see, I used an empty ice cream container. They are very useful and it gives me yet another reason to buy ice cream. After they had soaked, I put them in the remaining vermiculite and covered them up. 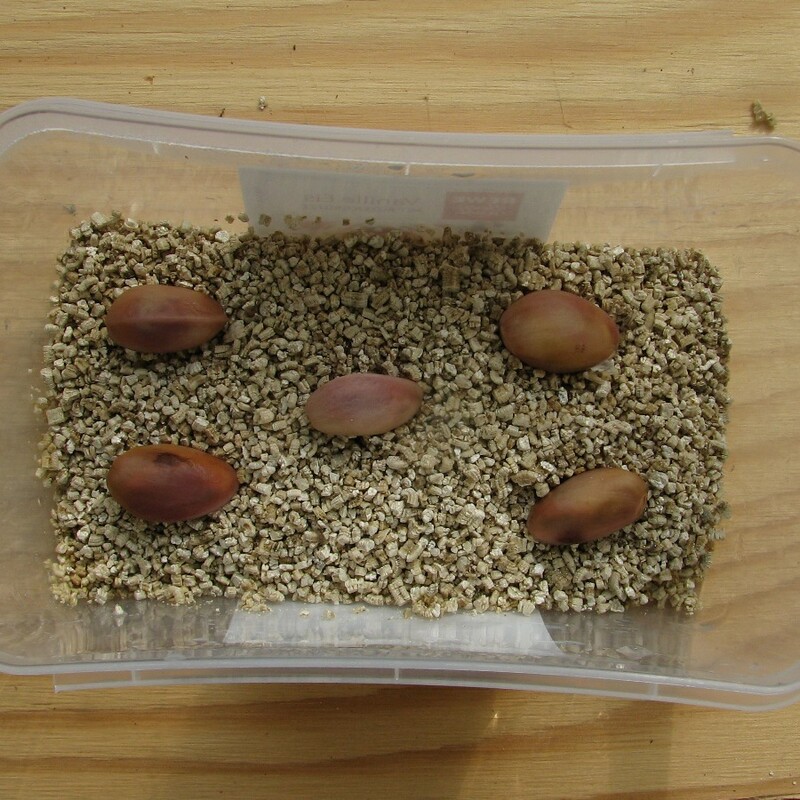 I only used five of the seeds so far, in case they all germinate (they probably won’t), I won’t get too many. 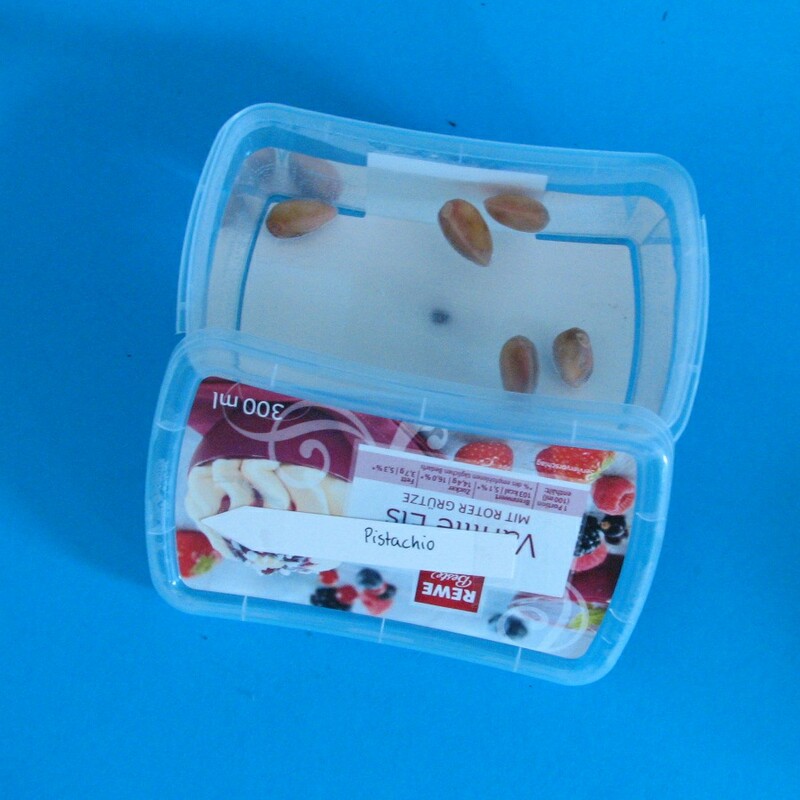 There’s only as much water in the box as the pistachios had on them. I also got new plant labels, of which I taped one to the box. Because I have other projects in other ice cream boxes and I will have forgotten which is which after a couple of weeks. 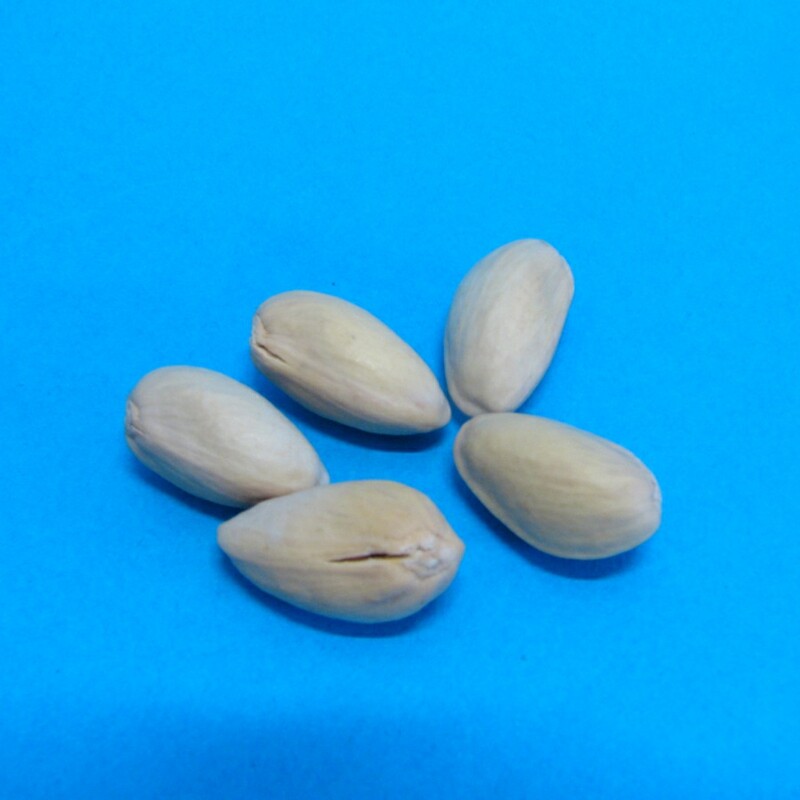 In the article about pistachio germination, I found the information that soaking the seeds in solution of 1 percent potassium nitrate might help the germination rate. I want to try that with cheaper seeds first. 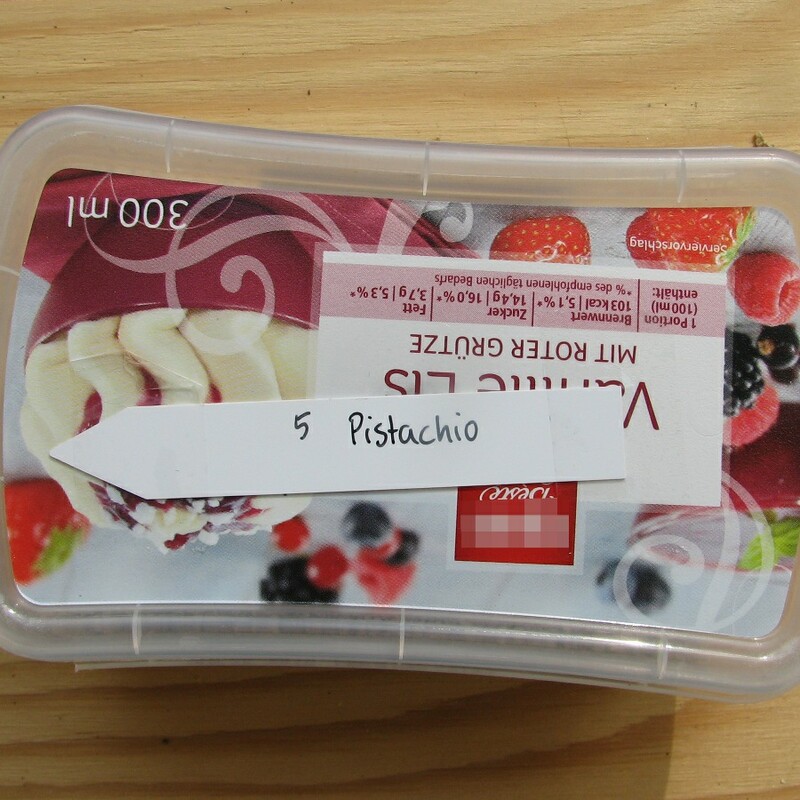 I still have seven pistachio seeds left for later trials. Time to start some new germinating projects: It’s cherry season and one of my co-workers brought sweet cherries to the office. Obviously, I couldn’t resist neither cherries nor their stones. So I kept 10 of them and put them into vermiculite for germination. I have no idea what conditions they need, but I can always get more cherry stones. I chose vermiculite, because it makes untangling the roots much easier when the time comes. If you know think (like me until a week ago) – hold on – since when are cherries a Mediterranean fruit? Well, since the famous politician Lucius Licinius Lucullus introduced them from modern day Turkey (from Pontus at the south coast of the Black Sea). No, he didn’t introduce them from modern day, because back then in Ancient Roman times, they had no time travel yet. No, I mean, he introduced it from the area that is now Turkey. Then I decided to finally order those medlar seeds I had laid my eyes upon ages ago on Ebay. Especially now, that I realized that the seeds I had previously taken for medlar where loquats insteard. So I ordered 10 seeds. They arrived today and had a little instruction sheet glued to the plastic bag. It said that they need stratification (surprise, surprise), so I put them right into the fridge for 2 weeks, according to the instruction. Another fruit from Turkey, or at least, that’s were I encountered them first. The same guy who sells medlar seeds also sells others. And to make the shipping costs worth the trouble, I also ordered mulberry seeds. They are about the size of sesame seeds. They also came with an instruction telling me to only cover them slightly with soil. Which I hope I did. 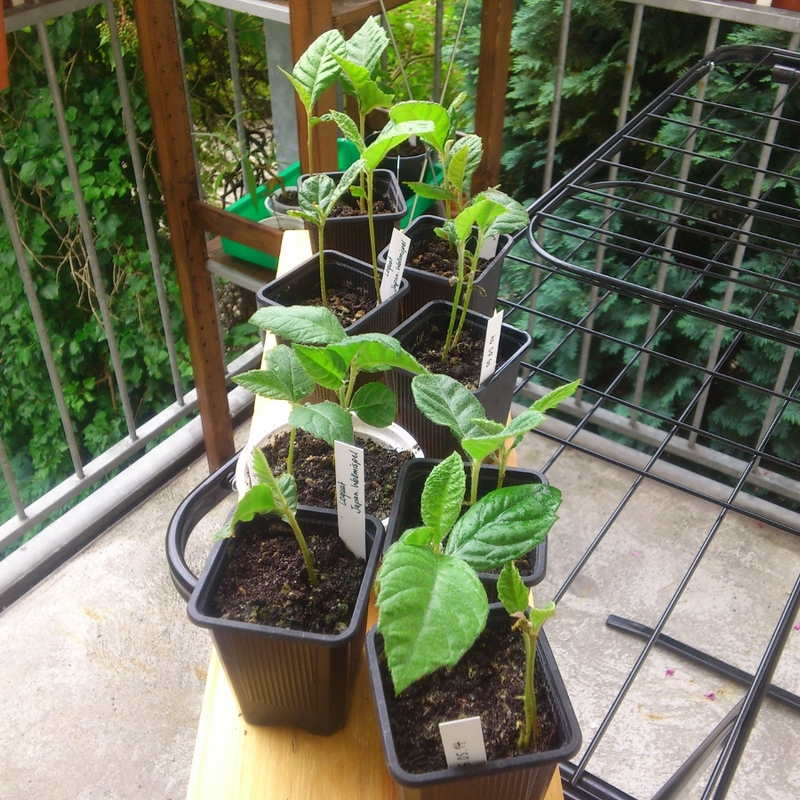 I went away for the weekend and when I returned, four medlar seeds had visibly germinated! Yeah! I had bought fresh medlar loquat fruit a month ago, had eaten the pulp and put 17 seeds into ordinary soil and 3 into vermiculite. 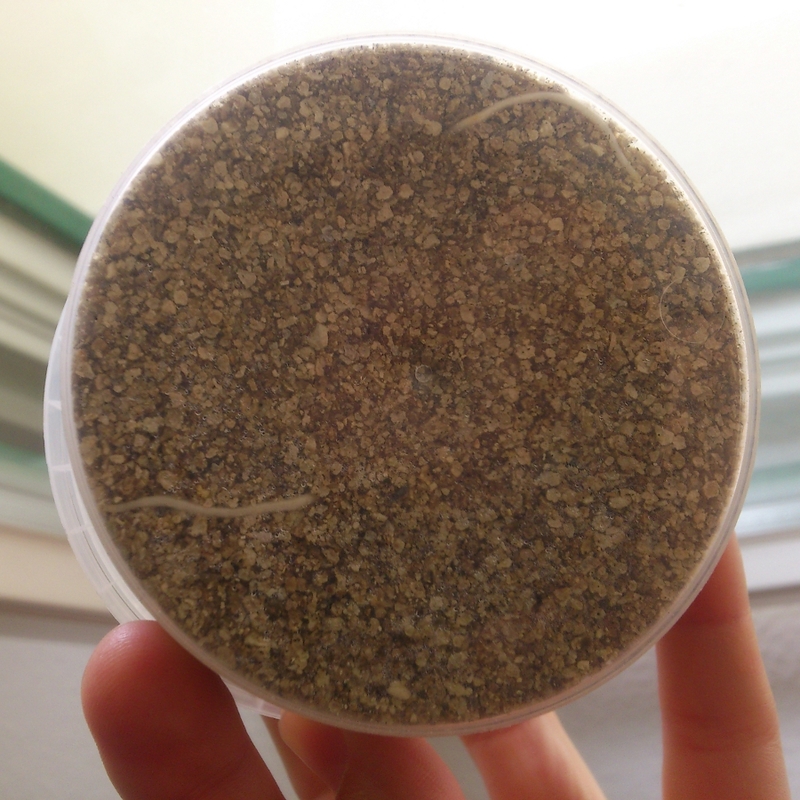 Today, I checked again, and found that two seeds in the vermiculite had germinated as well. At least I think they’re two, because the roots are quite a bit apart. Also, another of the ones in soil had germinated. You can see the progress on the site for Germination periods. PS: I just realized that those aren’t Medlars at all. They’re Loquats. The German name “Mispel” is sometimes used for both species, sorry.